Volkem Chemical provides and able to supply Glycerol Monostearate Self Emulsifier and Non self Emulsifier it is avail in white Powder and Flakes. It can be used as an emulsifier in wax industries. It emulsifies wax easily with water and gives best quality white paste. It is very easy to use in wax emulsifying. 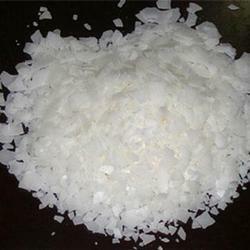 Vokem Chemical supply Glycerol monostearate of best quality. Our product is Indian Origin and highly qualified for EPE Foam manufacturing. Used in EPE foam/PE foam as a Foaming assist and shrink resistant. For more details contact us by call or Email. We offer Glycerol Monostearate Food Grade for Ice cream. Bakery, Confectionery etc. Our product contain Mono Ester Content 40 % minimum with purity 98% min in appearance off white (Sight Cream). GMS Food Grade is available in Powder and Flakes also. Looking for Glycerol Monostearate ?